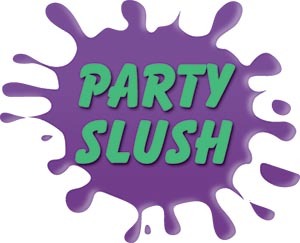 Party Slush mix turns your favorite wine, liquor, juice, or soda into a delightful slushie beverage – right in your freezer at home! The versatility is limited only by your imagination. Red or white wines? Yup. Rum, vodka, tequila, brandy, or maybe whisky? Definitely. Fruit juices or sodas for kids (or adults that don’t party quite as hard as they used to)? Absolutely! Pour a 750ml bottle of wine, into a gallon freezer bag. Fill the bottle with water twice (or measure about six cups) and add the water to the bag. 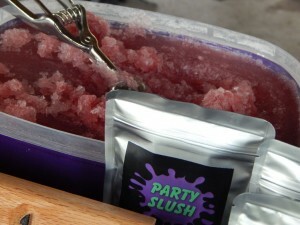 Add one packet of Party Slush, seal and shake. Pop that bag in the freezer, wait 3-5 hours, and enjoy! Party Slush mix can be yours at a great value!